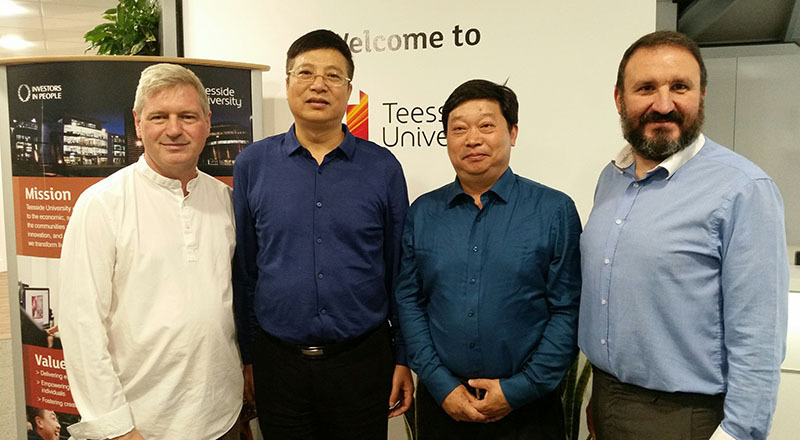 Leading design academics from China have visited Teesside University to exchange ideas and learn about the University’s innovative approach to learning, teaching and enterprise. Rob Burton (left) and Dr Ruben Pinedo-Cuenca (right) with Professor Fan Weidong, President of the Suzhou Art & Design Technology Institute and Professor Xie Jianping, Vice-President of the Wuxi Institute of Arts & Technology. 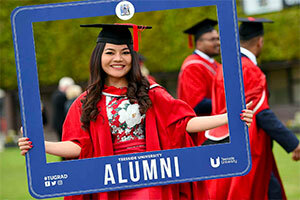 Thirty academics from the Suzhou Art & Design Technology Institute and the Wuxi Institute of Arts & Technology visited the Tees Valley to experience life at Teesside University. 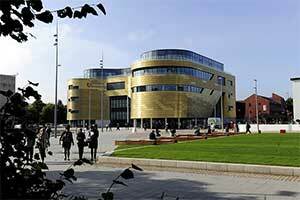 The mini-conference is part of an annual visit to Teesside by the two Chinese institutes which has been ongoing for several years. 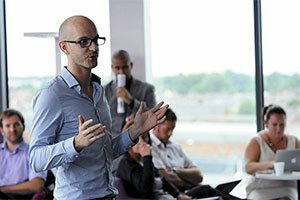 The theme of this year’s conference was external engagement. 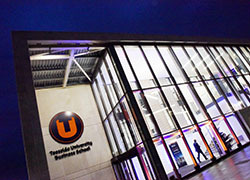 As well as hearing from University academics from the School of Science, Engineering & Design, the Chinese visitors also learned about Teesside University’s multi-disciplinary approach to design and the way in which the University works alongside business to ensure that its education programmes are aligned to the needs of industry. As well as speaking to staff working in related disciplines in other academic schools at the University, there was also a visit to Middlesbrough Institute of Modern Art where the Chinese academics learned about how the University was promoting art as a tool for changing the world. This included learning about the Creative Fuse project which is helping to unlock the potential of the creative, digital and tech sectors to help drive the innovation and growth of the region’s economy. There was also a visit to Teesside Launchpad, the University’s Enterprise engine which provides a vibrant campus environment for pre-starts, new companies and students. Alongside creative spaces to start-up, experiment and collaborate, it offers an inclusive community of entrepreneurs, mentoring, coaching and workshops from partners. 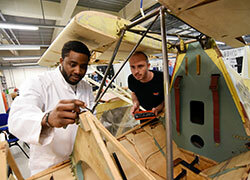 As well as grant funding and access to finance. 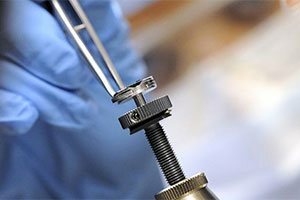 The visitors were also shown how the University employs different programmes to engage with national and international business including research projects, Knowledge Transfer Partnerships (KTPs), internships, student placements, consultancy services and access to modern laboratory facilities. 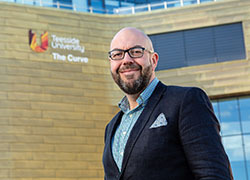 Dr Ruben Pinedo-Cuenca, Business Innovation Manager in the school of Science, Engineering & Design, said: 'We were delighted to welcome our visitors from China once again. Professor Fan Weidong, President of the Suzhou Art & Design Technology Institute, said: 'We have learned a lot on our visit and found it very useful. 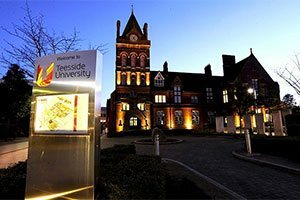 'We’ve seen how Teesside University is very keen on the application of knowledge and works hard to build its own entrepreneurs.